I mentioned in a previous post that I prep Jimmy’s breakfasts and lunches in advance and freeze them. I had a lot of interest in how I do this, so I’m here to describe the process for lunches! Honestly, I never knew sandwiches could be frozen, but I just went for it one day and hoped for the best. 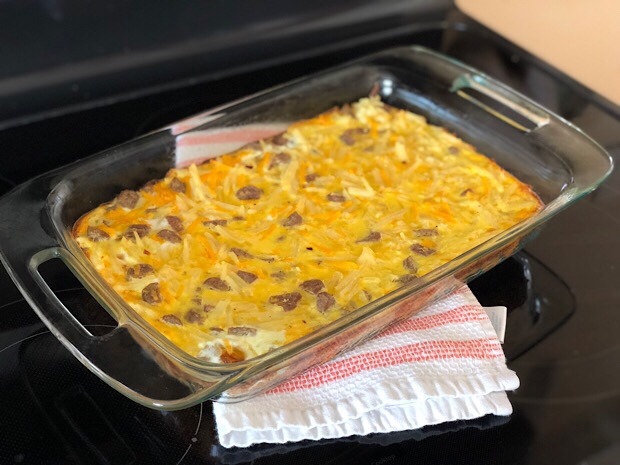 Jimmy tells me he really enjoys his breakfasts and lunches, so it’s a win-win situation because having these meals made in advance has made our lives so much easier! For lunch sandwiches, I pick some sort of sturdy bread product like a bagel, wrap, hearty bread, or bun. When I made the batch of sandwiches pictured in this post, I used everything bagels and pretzel bread. Next, I choose some kind of meat to add as the bottom layer of the sandwich. 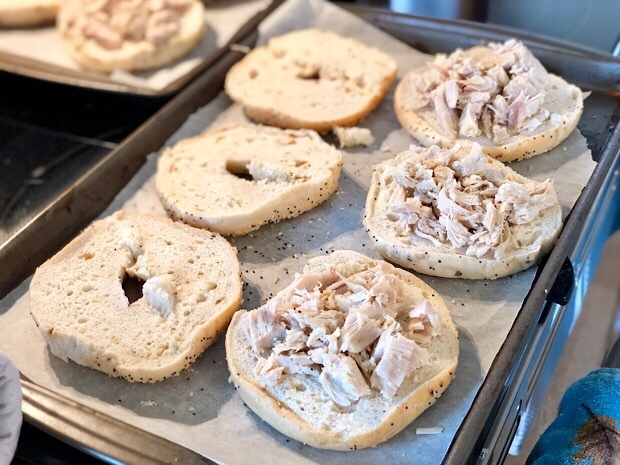 For this batch, I used rotisserie chicken on the everything bagels and ham and turkey deli meat on the pretzel bread. I preheat the oven to 350 degrees, line a cookie sheet with either parchment paper or foil and lay down the bread. Next I add the meat, cheese, and toppings and bake the sandwiches “open faced” for about five minutes, or until the cheese has melted and the bread has toasted a bit. 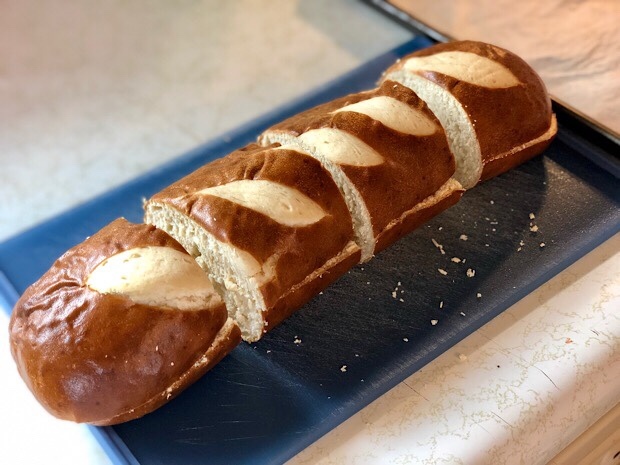 If you have a sturdy bread, I’ve found you can put the cheese on the other half of the sandwich without it becoming soggy. 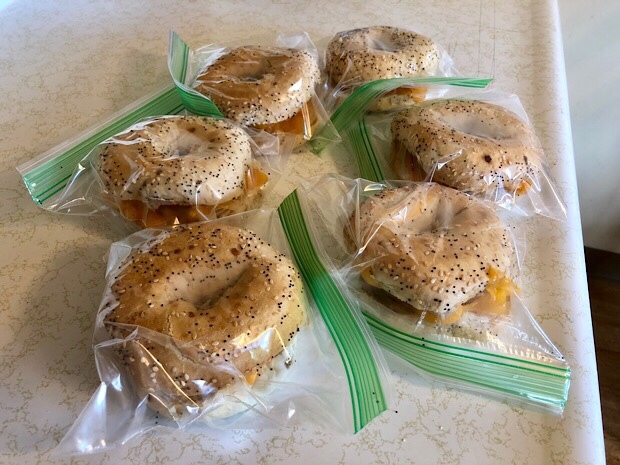 Once the sandwiches have baked, I let them cool for about ten minutes and then assemble them, wrap them in plastic wrap, foil, or place them in a sandwich bag. When they’re completely cool, I place the wrapped sandwiches in a gallon freezer bag and freeze them until we need them. 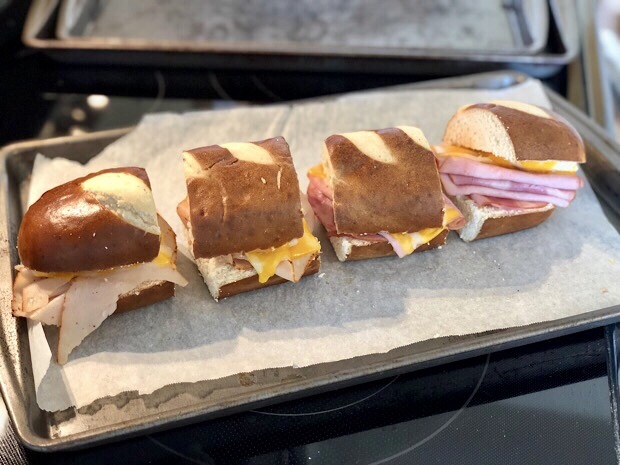 My routine is to make a week or two of sandwiches at once, freeze them, and then pull out five on Sunday night. By Monday morning, the sandwiches are thawed and ready to go for the week. 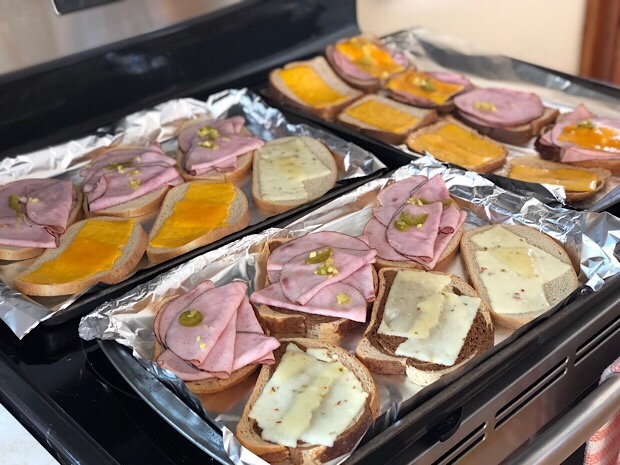 Jimmy heats his sandwiches in a toaster oven for a few minutes, but also eats them without heating them sometimes and reports that both ways are delicious. 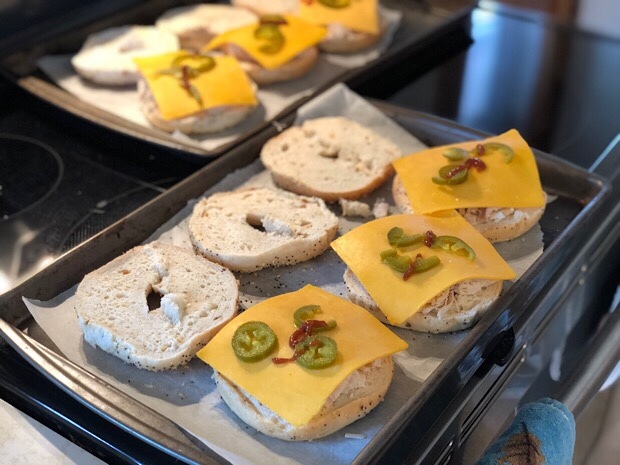 -I usually keep Jimmy’s sandwiches super simple; meat, cheese, jalapeño or banana pepper slices, and srircha or hot sauce. -If I’m feeling fancy or have more time, I like to add thinly sliced onion, bell peppers, and bacon. -Sometimes I make pizza sandwiches and add pepperoni, mozzarella cheese, and pizza sauce. -Other topping ideas include most cooked or pickled vegetables, meat, mustard, and barbecue sauce. -I would avoid lettuce, mayonnaise, and tomatoes, as they don’t freeze well. 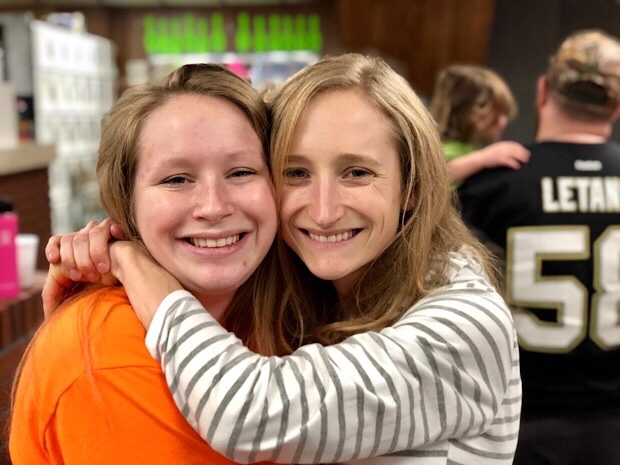 Just sharing a few thoughts and snapshots from the past week or so! 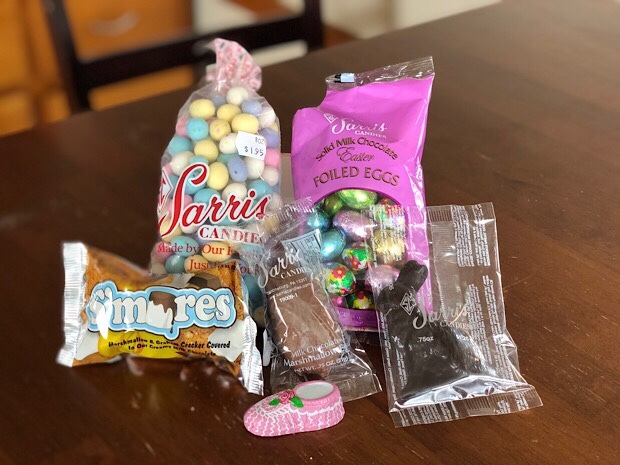 I don’t know if I’ve mentioned it before, but Jimmy and I live pretty close to a famous candy store called Sarris Candies. It’s fairly well known in America and I don’t know what it is, but their chocolate is some of the best I’ve ever had–it’s so smooth and creamy. 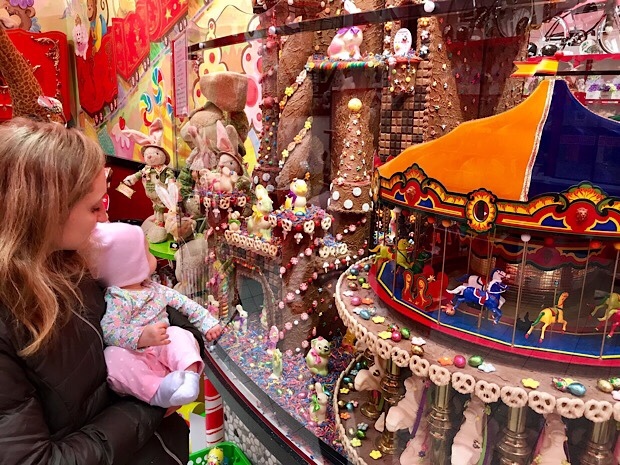 We decided to get out last night and take Sadie on her first trip to Sarris! The store has tons of candy, stuffed animals, and holiday displays. It’s safe to say that Sadie enjoyed all there was to see and mom and dad got stocked up on chocolate! 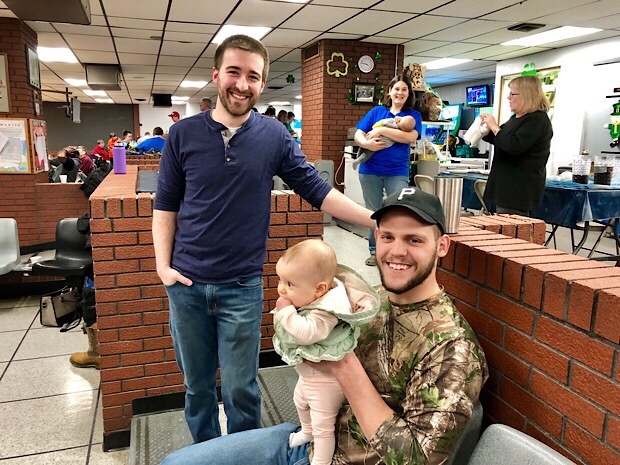 Jimmy, Sadie, and I went bowling with our church over the weekend. I actually bowled better than I thought I would (I got a strike and a few spares!) and had fun catching up with family and friends. There’s just nothing like having fun with our church family! 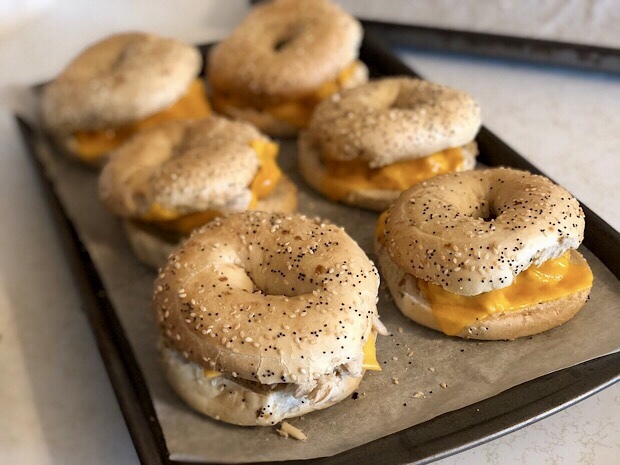 Another thing I don’t think I’ve mentioned here on the blog is how I do meal prep for Jimmy’s breakfast and lunches! Basically, I have a rotation of breakfast recipes I make and freeze for him. I also make a week or two of sandwiches in advance and freeze them. 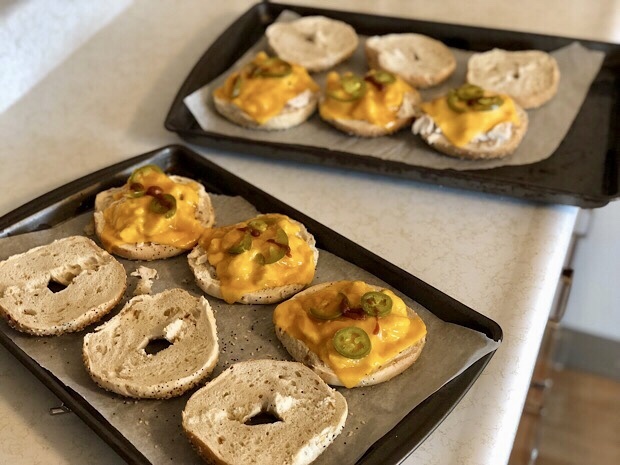 I used to make his lunches each night and he would have a bagel for breakfast, but we started getting a bit more streamlined around the time Sadie arrived and it has been making our lives so much easier! Would anyone be interested in a full post on my method and the recipes we like to use?! I was recently reading a devotion about treating persistent problems as something God can fit into a pattern for good (Romans 8:28) if we love, trust, and walk with Him through them. Basically, problems can become a stumbling block and cause self pity, or we can see them as something that is transforming us into the person God wants us to be. The key is that we get to choose to make friends with difficulty and even learn to thank God for it or react with anger and distrust. It really resonated with me so I thought I’d share!